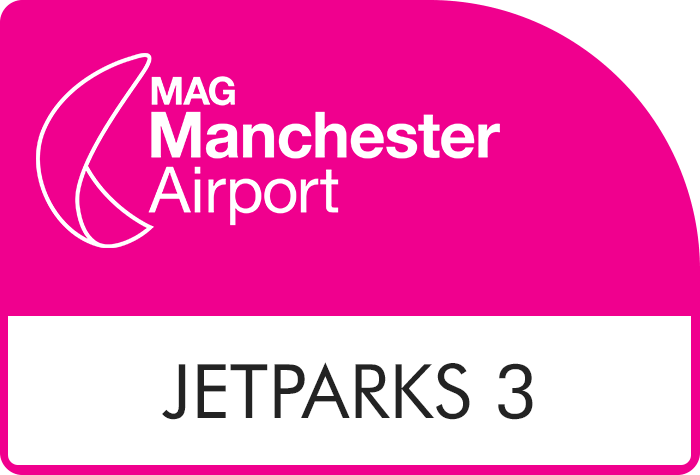 JetParks 3 is a super convenient Manchester airport parking service, located close to the terminal. 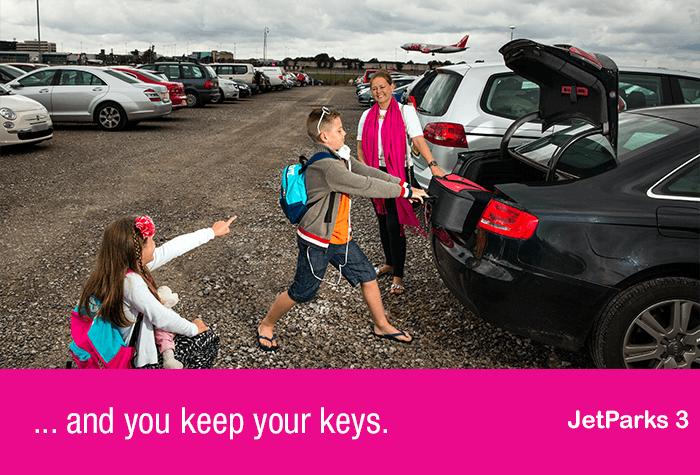 Park your car and keep hold of your keys just 10 minutes from the airport. 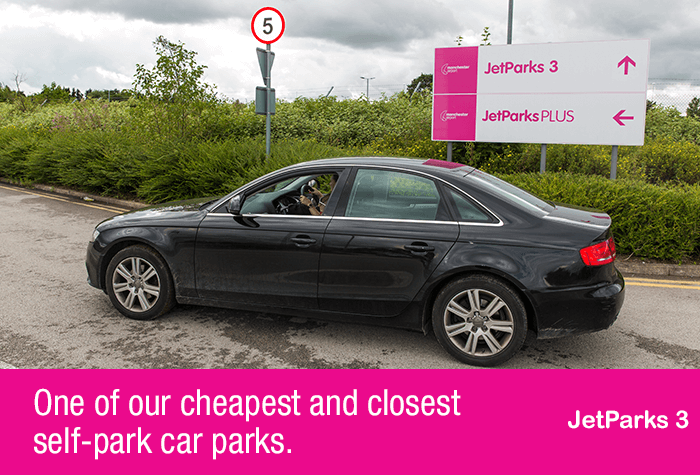 Park where you like - we recommend making a note of where youve parked so your car is easier to find when you get back. 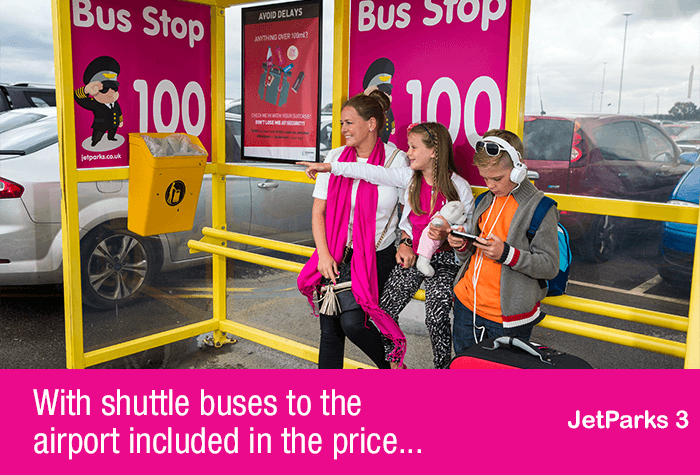 Catch the shuttle bus to the terminal from your nearest bus stop - its included in the price. 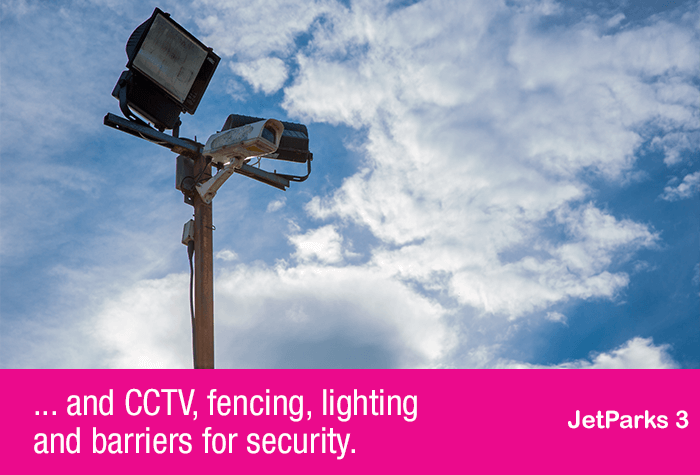 It takes 10 minutes, runs every 15 minutes and is available 24 hours a day. 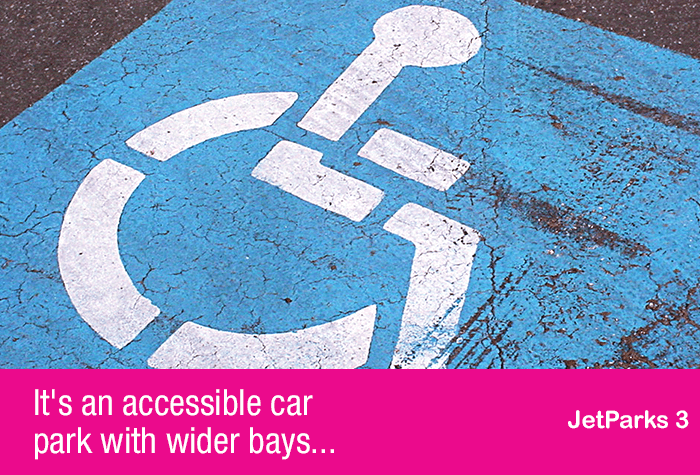 The car park have accessible spaces available for blue badge holders on a first come first served basis. Shuttle busses are wheelchair accessible. 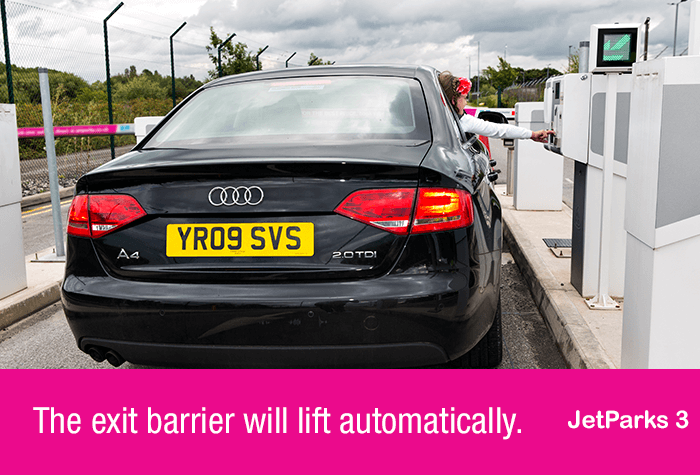 Make sure your registration number is correct when you book, as this will be used by the automatic barrier to recognise your car when you arrive. If you are delayed collecting your car you will be charged the car parks standard rate. There are roadworks around the approach to the car park. Please allow plenty of time for the journey, in case of delays. Do not press the green flashing button as this is for customers who haven't booked. 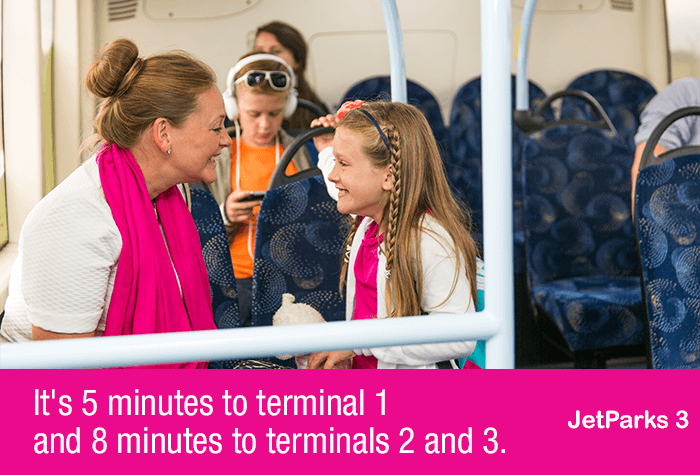 After parking your car, board a bus to the terminal. These run 24 hours a day, take 10-15 minutes and run every 15 minutes. 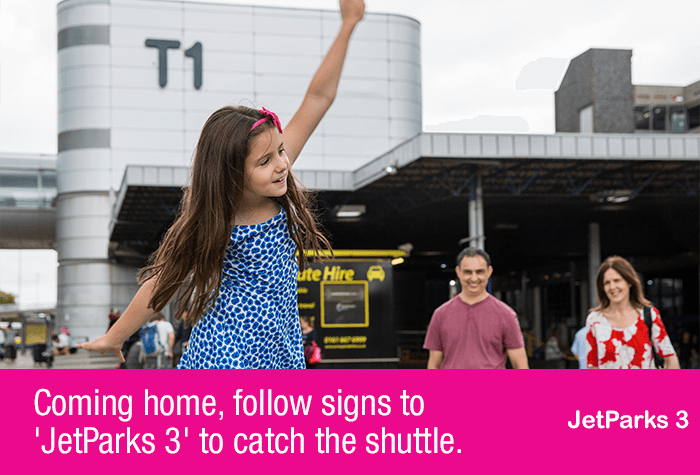 After you've collected your luggage, hop on the transfer bus back to the car park. You'll find your car waiting where you left it. 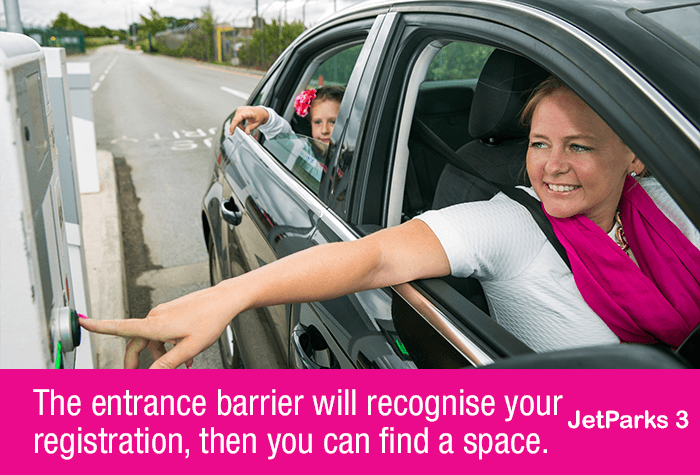 Drive to the exit barrier which should raise automatically. 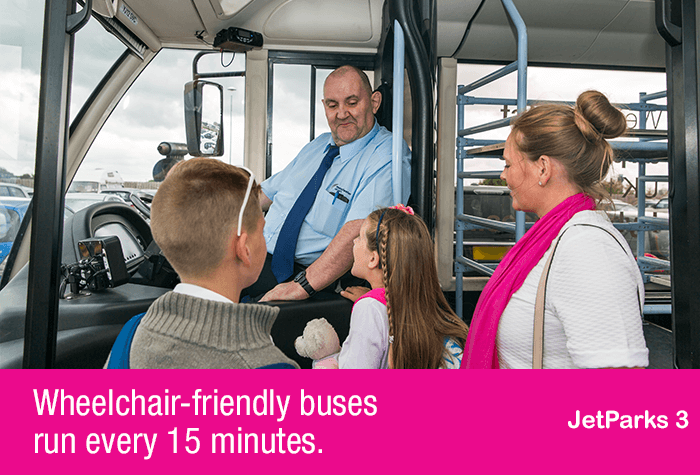 If you have stayed longer than you booked then you will need to pay for the extra time locally.